Kindle, Ipad, Sony Pocket Reader?… E-books are already a thing of the past, as Japan leads the way in the latest digital book craze : Cellphones. Cellphone, or ‘Mobile Phone’ novels (keitai shousetsu) are the first literary genre to emerge from the cellular age via text messaging. The stories are written chapter by chapter in SMS, and broadcast instantly to its’ readership. The first cellphone novel to be published was ‘Deep Love’ in 2003 by young online writer Yoshi. Since then the popularity of the genre has risen and its most avid readership are teenage High School students. Cellphone novels are mainly written and read largely by females. Among its’ most successful authors are single mothers and students whose stories have gone on to be published in print and even turned into Manga and anime. 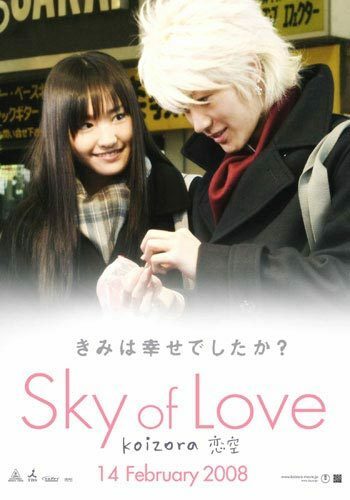 ‘Sky of Love’, another immensely popular novel, was made into a film in 2008. So, what’s the secret of this hybrid genre? Why is it causing such a stir in the Far East? Will it ever be part of Western culture? To answer the first question one must look at the dynamics of Japanese society. Cellphones are one of the most popular accessories in Japan, and since it is a country that sets the trend in technology for the rest of the world; it is only natural that something like this should emerge here. There is also the question of reading habits, the whole manga/ anime tradition lends itself very neatly to the idea of ‘txt msg’ novels, as they are mostly image based and very expressive. Images are big in Japan, and I for one was amazed to discover that the Japanese were very keen on their emoticons. The average western cellphone has on average 20 pre-installed emoticons, which is enough to convey how we feel to one another. In Japan the creation of emoticons and smilies is a serious business which rakes in millions of dollars per year. This just goes to show how important cellphones are in Japan. Following on with the ‘hybrid’ genre theory, cellphone novels remind me of when I used to write fan-fiction. Although it has now almost disappeared (replaced by ‘Twitterature’ which is totally alien to me – and anyhow, how can a story be told in 140 words?? ), ‘fan fic’ was as otaku as I got back in the day. It was a great feeling to be a ‘pirate author’ of sorts, writing about my favourite characters especially having the power to re-write some of the stories. There was a real feeling of community as we fellow ‘fan fic’ authors read each others work and supported one another on forums. OK, it was a little illegal, underground and secretive, but that was the whole fun of it! I can honestly say that fan fiction was my first foray into writing, as it helped me cut my teeth as an author and taught me some valuable lessons through trial and error. Before that, I was just a static reader. Writing opened up a whole other world, as I realised how hard it was to string a story together. Therefore ‘cellphone novels’ have that plus side to them, where you write something and publish it fearlessly to the world, leaving you wide open to responses. The whole appeal of it is that everyone (regardless of age or background) could get their story to an audience. However, one thing I probably don’t agree with is the terrible lack of grammar. I keep thinking, ‘how does someone write without proper punctuation and spelling?’ It’s not a good example, but the limited space of an SMS doesn’t exactly allow for long-winded descriptions either. I’m hoping that maybe when the novels get printed, the publishers sort out these grammar issues. Hmm… will it ever take on in the West? To be absolutely honest, I don’t know. There are some things so Eastern that it never gets to see the light of day over here. The Japanese have their own quirks that sometimes don’t gel with our tastes. But the published ‘cellphone’ novels are already being sold on Ipad and Kindle, so maybe at least we’ll get to see what all the fuss is about! So what do you think? Have you written a ‘cellphone novel’? Is it a good or bad in terms of the future of the writing industry? Thanks for this Zee. I remember hearing about these a year or two ago but they’d completely slipped my mind. Who knows whether they will take off but it’s fascinating seeing all the different places technology is taking us, isn’t it. I watched an NHK documentary a few nights back called ‘Cool Japan!’. That’s when I heard about this. I was all excited. One lady on the panel who was an American author said that she was horrified that the authors publish their stories without checking their grammar. It made me laugh! That’s exactly what I was thinking. p.s. How atrocious! Just realised the spelling mistakes I made. Yuck. I got kicked off the comp before I could spell check. So I’m not to blame lol! I apologise profusely… and shall make my amendments. I had never heard of this before and I’m sort of torn on the concept. I could see liking it a lot if I was younger – I imagine it makes for plenty of conversation among school kids. But the way I read now, I think it would drive me crazy. I can’t imagine reading a story one fragment at a time. Whenever I get to a really interesting part of a book I tend to read even faster and feel as if I can’t turn pages quickly enough. If I had to wait for each new scene to be sent to my phone I’m sure I would go bonkers. Part of me thinks it will never catch on in Western culture, but with so many people using eReader Apps for the iPhone, Blackberry and Droid it probably will become popular before we know it. I’m sort of old-school with my cellphone (it makes and takes calls and the occasional text) so I’m certainly not the target audience, but it will be interesting to see if it takes off. You sound a lot like me. My phone is used pretty much for calls too. Oh, and I sometimes listen to music. That’s it. You might be right there, for the younger generation it’s a cool concept, but will it, or can it ever be ‘real literature’? That’s what’s bothering me. The meaning of literature has become a bit blurred. Everybody’s writing, but does it have substance? Anyways, I wouldn’t call it literature but it is writing. I guess all literature is writing, but not all writing is literature – if that makes any sort of sense. The bigger question might be what defines literature and you’re right about it needing substance. I usually classify literature as the stuff that makes me think. If it’s a cutesy little novel that I read once and forget, it’s probably not lit, but at the same time I *love* reading cutesy little novels. So I guess there’s still plenty of enjoyment and appreciation to be found in writing even when it’s centimeters, rather than fathoms, deep. And I think writing of any type has some merit. An author friend of mine said that fan fiction is a great place for writers to start because you don’t have to focus on worldbuilding and can put your efforts into good storytelling instead. Once you know how to tell a story you can work on character creation and settings, but in his opinion, storytelling is a much harder trait to learn. And then comes editing but that’s a whole new can of worms to open…. Do you know if the published versions of the cellphone novels are edited or are they shown complete in text speak? I could see reading “i luv u” and “i h8 u” on a phone screen but if that was published – and especially if it was pages upon pages of it – there’s no way in the world I could read it. Excellent questions Lisa. In fact I was thinking the very same things too. Personally I haven’t seen the printed versions of said cellphone novels, but I’m guessing that they are formatted to publishing standards. I _hope_ they are. And this being Kanji, they have characters that represent words, so maybe there isn’t a lot of ‘i luv u’. I think it said somewhere that the novels ranged from 300-500 words (yes, on a cellphone!) and the people writing them had roughly about 500 kanji characters to play around with. I don’t know the in’s and out’s of japanese grammar, but maybe someone with more expertise can come and comment on that. I’m def. interested to know more about it. I remember that quote! I’m surprised I didn’t comment at the time but I copied it down in one of my fave quote notebooks! I have a friend who’s been living in Japan for the past few years teaching English classes. I’ll have to point her toward this post and see if she can give any insight! That would be great Lisa. She could give us insider information. Ahh, to live and teach in Japan. You’re friend is living the life! I hoped to go out there too with a company called GEOS, but they went bankrupt !! I’m not having much luck on the job front at the moment. Hi! I’m Lisa’s friend, currently living in Japan. I don’t have too much insight into the keitai novel trend that hasn’t already been addressed: like you mentioned, 500 words in Japanese take up a lot less space than 500 words in English or other Western languages because of the kanji element. You probably know this already, but there are actually three writing styles in Japanese: kanji words, which are composed of one or more compact Chinese-derived characters; and then, hiragana and katakana, which are syllabic alphabets usually using one character to represent one syllable. Hiragana is used for native Japanese words and grammar items, and katakana is usually used for words borrowed from other languages, as well as for emphasis, in the same way English writing uses bold or italics. The hiragana and katakana take up more space than kanji, of course, but on a keitai screen, the font is bigger than roman fonts, so those words probably take up about the same amount of space, if not more. The chapters have to be short because of the character limit on keitai text screens, but I’m not exactly sure what the numbers are in that case. The other thing about the keitai novel trend that I might suggest is that, on the whole, Japanese people, at least in the big cities, spend a whole lot more time on trains than Westerners, so there’s more time and more incentive, perhaps, to read books, send texts, etc. Also, since barely anyone drives to work, we carry all our stuff with us everywhere instead of leaving it in the car; as consequence, everything is smaller and lighter: notebooks, novels, etc. Many longer English books, for example, are divided into two or three parts when translated into Japanese, because people don’t want to carry something heavy with them when they’re walking all over town. Almost every book published here is also smaller and thinner than your average American pocketbook. So, the keitai novels are likely also encouraged by this. People who aren’t into reading enough to want to invest in a Kindle, for example, might go for it. Sorry if I’m babbling a lot of stuff that everyone already knows! If you have any more specific questions, I’ll do my best to help. And good luck finding a job! I have some friends who have had good luck with Interac, although, as with all teaching jobs here, a lot depends on your luck re: which school you get placed at. Hi Emily! Welcome to the discussion. Your input was most valuable, I didn’t know about the specifics of the Hiragana/ Katakana writing styles I’m so glad you explained it all. Please say whatever you like, I love learning about Japanese culture and it’s so hard to find someone to explain things in a way that other westerners will understand. I had a feeling that books were a lot slimmer over there. And the transport system is so good people don’t really feel a need to drive to work like we do over here. People have to do something to pass the long hours on those train journeys! I’ve also heard that it’s considered rude to talk on the phone when on public transport and that people prefer ‘silent mode’ as opposed to the loud ringtones we like to have. Everything is so different! Oh, and thanks for the info on Interac! I’ll definitely look into it. Fingers crossed, hope for the best! Cell phone novels… now there’s an idea!